A significant amount of seafood is wild caught which can lead to over fishing, unwanted by-catch and destructive catch methods. We take the view that we need to work within the industry to guide our customers towards sustainable choices. 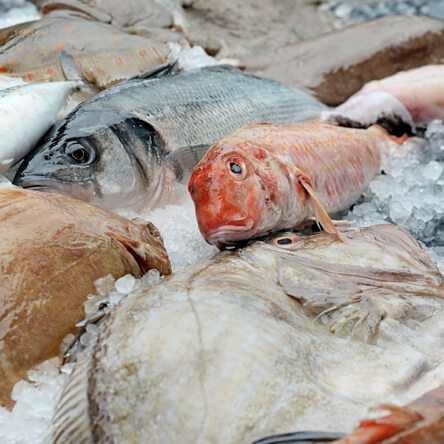 Direct Seafoods Sustainability policy is available to view here: Direct Seafoods Sustainabilty Policy 2018. We demand to know the source and origin of the seafood we sell and endeavour to shorten the supply chain wherever possible. We believe that the process of investigating sustainability options for customers is a task with out end. Nothing will ever remain completely sustainable and often unsustainable choices may become sustainable through proper management.. Therefore we treat the search as a journey rather than a destination. If like us, you’re passionate about sustainability, The Good Catch Guide provides a reference of key sustainability information. If you’d like more information on our sustainability and marine conservation commitments contact our director of sustainability, Laky Zervudachi by emailing him here. Most kitchens in London will be familiar with the name Laky Zervudachi. Laky has been welcomed into restaurant kitchens since he was cycling round the city with a box of oysters in the early 80s! 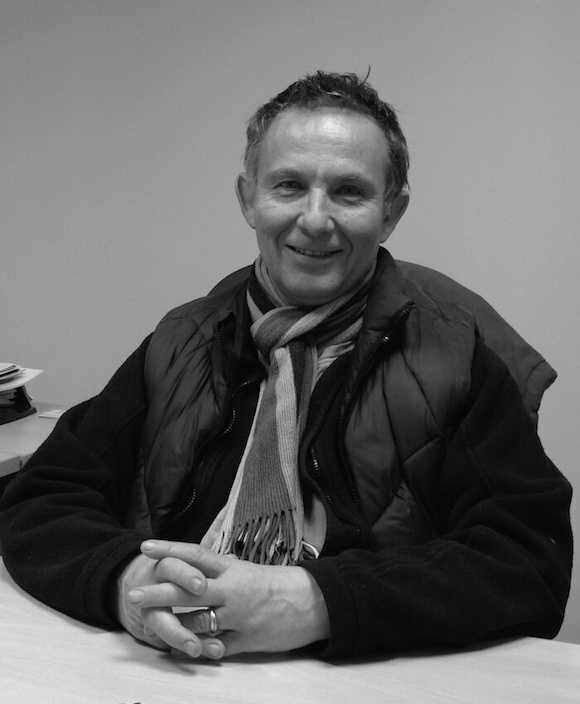 Well known in the capital for his expertise in fish, Laky is also Direct Seafoods’ Group Sustainability Director. Laky plays a vital role in Direct Seafoods and the wider industry – an industry that has ever changing and challenging demands for information on provenance and sustainability. Laky Zervudachi has been involved in the foodservice side of the seafood industry for over thirty years, supplying many of the UK’s top restaurants and chefs with wonderful seafood. Working as Director of Sustainability for Direct Seafoods, Laky ensures the company has a thorough appreciation of the need for responsible sourcing. Laky’s knowledge is passed on to our customers; chefs and caterers, which results in the ability to achieve a greater understanding of the complex issues of sustainability. We encourage best practices in sourcing through sympathetic purchasing with regard to seasonality. Direct Seafoods’ credibility has been enhanced by Laky’s close relationships with Non Government Organisations (NGO’s) such as the Marine Conservation Society (MCS), the Marine Stewardship Council (MSC) and Sustain. Laky has been a part of, and devised many successful projects to enable chefs and caterers to refine their orders enabling them to contribute to The Sustainable Seafood Movement. Leading Direct Seafood’s project with The Blue Marine Foundation at Lyme Bay, to create a new supply chain model “Reserve Seafoods”. 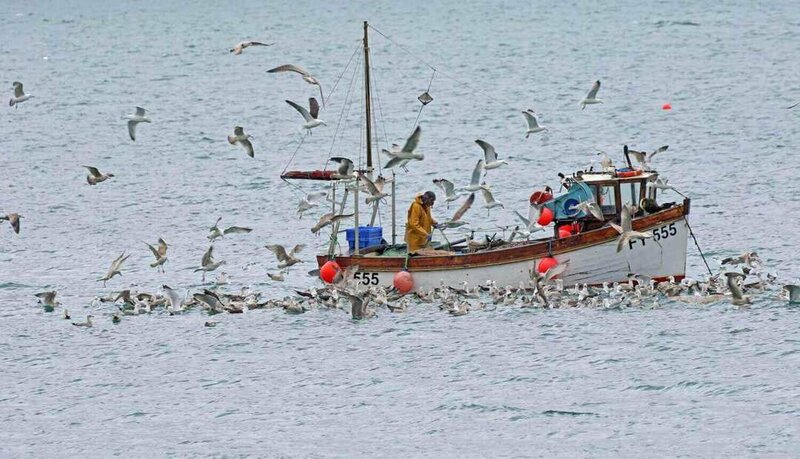 This involves working directly with day boat fishermen to ensure a fair return for their catch. Reserve Seafoods gives greater transparency for the chef and ultimately a truly sustainable fishery model. Working closely with the Sustainable Restaurant Association (SRA), a partnership developed through Laky, in order to support the SRA’s work with restaurants, encouraging them to create sustainable seafood policies that remove the worst, choose the best and improve the rest. In 2015, Laky was invited by the Minister of Agriculture and Fisheries, to join a panel of industry experts to help create a vision for the UK seafood industry over the next twenty-five years. This work is soon to be completed and will be used by future governments to drive a sustainable, ethical increase in fish consumption that should ultimately lead to a healthier population. Laky’s desire to make a difference and to bring about wholesale change, has meant that he has given a lot of his time to various pro-sustainability initiatives such as, Project UK and The Sustainable Seafood Coalition (SSC).The content of these developments are an invaluable way of letting chefs know that there are many sustainable alternatives available to them, and that sustainability is commercially viable. Laky’s mantra to “always look to go one step further”, has resulted in him persuading major caterers to remove at-risk species from their menus. Laky has achieved this by creating the understanding with customers that, if they go a step further then they would have all the support and assistance they require from him and his team. Laky spends a large amount of time seeking out alternative, premium-quality, but underexploited species, and an equal amount of time encouraging chefs and caterers to do the same and play their part in the bigger sustainability picture. Laky has worked with suppliers to develop a number of new products in order to meet customer’s needs. Ultimately, Laky’s dedication to the cause removes the complications involved in sourcing large volumes of sustainable fish.